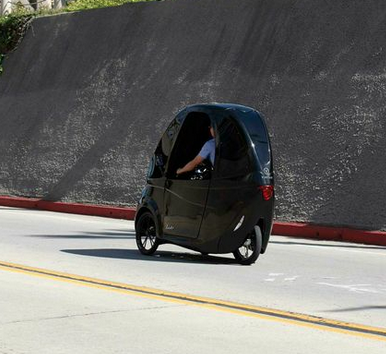 San Diego’s Virtue Cycles has announced a Kickstarter program to fund the Virtue Pedalist, an innovative front cargo tadpole tricycle that features an enclosed shell and electric power. It’s all part of the growing trend to integrate cycling into the everyday lifestyle, Kickstarter investors have the opportunity to “invest” in The Pedalist project, which made its debut last September at Interbike in Las Vegas, at one of 11 levels — from $10 to $8,199. $2,995 Level — Choice of The Pedalist in white or dark grey minus the factory electric power option. Investors will be able to configure their own specific e-Bike motor and battery set-up. MSRP $3,499. Only 30 are available. At only 35 inches wide and 96 inches long, The Pedalist can go virtually anywhere a bicycle can travel, including within bicycle lanes, around campus, and even fit through most house or office doors. The Pedalist’s narrow body is agile enough to travel in between cars allowing easy navigation through automobile traffic using both standard car and bicycle lanes. Just like an e-Bike, no license and registration is required in most cities to own a Pedalist. Virtue Cycles will offer The Pedalist with a 750W electric motor & 48v 32A li-ion battery that will provide a range of 50+ miles per charge. The Pedalist features three cycling modes — pure pedal, pedal assist (the electric motor multiplies your pedaling power) and full electric throttle, which is limited to 20 mph. The Pedalist will also be available in a lower priced non-electric model, which will enable owners to configure it with the electric motor and battery suitable to their needs. 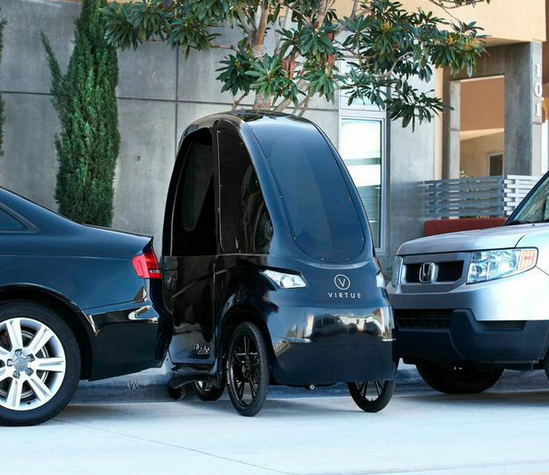 The interior front cargo space is large enough to carry extra batteries to extend the The Pedalist’s range as well as transport groceries, books and even a small child in a car seat. In addition, The Pedalist even provides a sitting space behind the cyclist to transport another passenger — in style! The Pedalist’s standard components include an internally geared 8-speed hub, magnesium wheels and powerful disc brakes.